For the urban shopping class who like visiting stores that exclusively offer women’s clothes in Los Angeles, the welcome and often affordable WISHLIST stores are one of a kind. 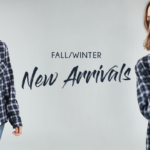 Amongst its massive number of ardent clients, the brand has never disappointed as a reputable and perhaps the best maker of stylish and eye-catching women’s clothes. In fact, if you could tour their showroom in San Pedro in L. A., you will notice that they nearly everything perfect for any lady’s elegant look. 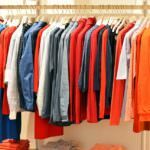 Being a reputable wholesale retailer of women’s clothing in a highly competitive environment is no mean feat. But, WISHLIST manages to win the industry as arguably the leading bras, dresses, tops and other lady’s garment in an admirable fashion. It has a firm customer base created through years of building trust while offering quality and affordable products. 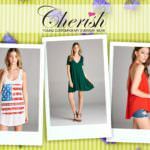 Truth be told, there are lots of ways to choose and love WISHLIST if you are a lady who likes contemporary women wear. One of them is this clothes maker’s focus on us, the young and contemporary women populace. The budding and highly vibrant lot prefer clothes that are sassy and trendy, yet rebellious from the ordinary. There is the ordinary dresses, bras, tops, cardigans, bottoms, rompers and outerwear - conventional and devoid of a classy touch. Alternatively, there are what WISHLIST is known for; fit and fashionable, colored and sophisticated women’s attire. The main differences are the manufacturer’s keen eye on quality and the impressive range of products. WISHLIST deals in bralettes, dresses and tops, rompers, bottoms, and outerwear. Whether you are for strapless lace bras, caged-back bras and Floral lace bras, weekend dresses, swing dresses, bodysuits, hemp tops, crochet pencil skirts, maxi skirts or just anything amazing, head down to WISHLIST. They just input a subtle twist on stable classics to keep shoppers coming back for more. The list of what is on offer is long, and everything is made according to what the firm stands for; customer satisfaction. However, it’s pleasing to add that even though this women’s clothes seller is among the top sellers in Los Angeles, the great customer services part is as excellent as always. Would you love to be among its growing list of clients and get a feel of it? By choosing WISHLIST, you will be guaranteed of getting all Best Sellers and New Arrivals. For all your women’s clothes - yes, the urbane, stylish and fashionable stuff, choose them. I cancelled an order within the time on my contract and without authorization they charged my card for the items I cancelled. When I called they said they had no recollection of the cancelled items.